The modern city Berlin, with a rich history and glimpses into the past, has so many sights to visit. It may be difficult to see everything, but here are a few must sees. 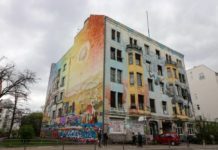 Traveling to Berlin invites visitors to see a mix of the new and the old with modern architecture alongside glimpses of the city’s historical past. There are countless museums to visit and interesting sightseeing to accomplish in this German city. The sights mentioned here are just some of the highlights. 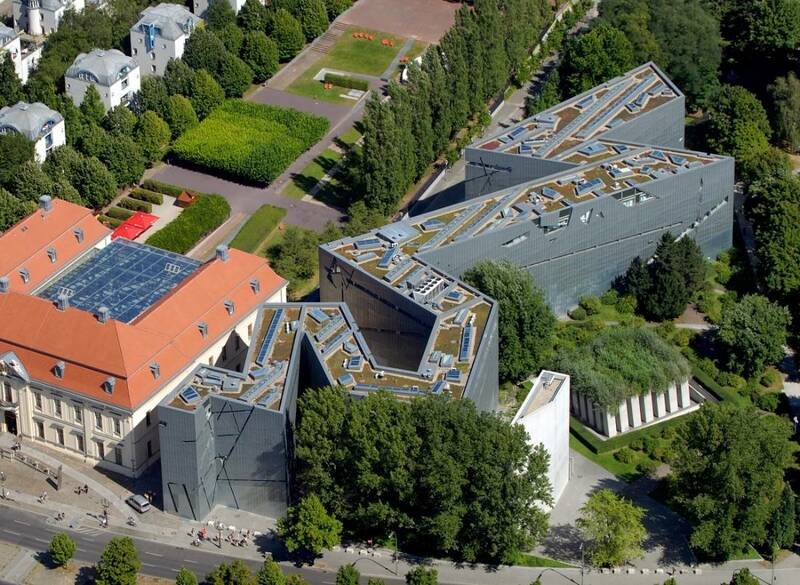 The architecture of this building is very contemporary, but once inside there is a long history that covers the experience of the Jewish in Germany. Walking through the museum, visitors will have a moving experience, in addition to educational glimpse into the Jewish-German relationship. While the museum includes insights and displays of the Holocaust, the history goes as far back as the Middle Ages up to the present as well. Advice: This is not necessarily a place to bring young children. Not only is there a lot to see, they will not understand some of the more emotional scenes that are a part of the museum. This is the location of one of the former East and West Berlin border checkpoints. 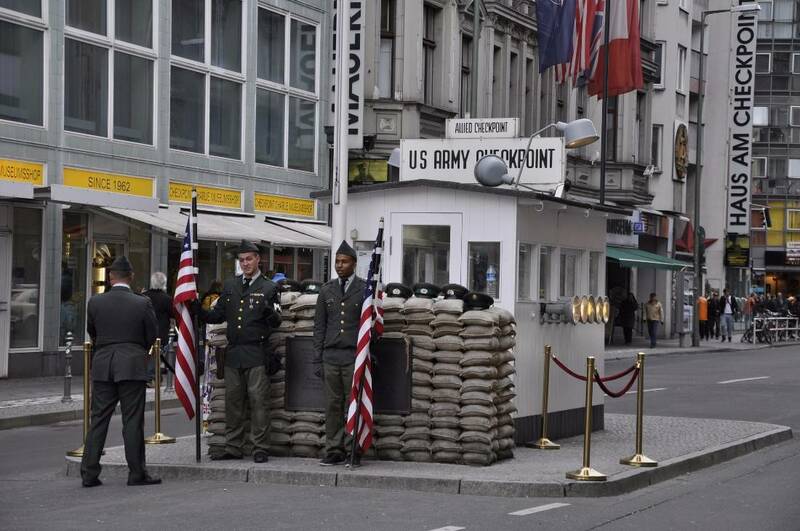 The main purpose for this checkpoint was to register Western military personnel coming to East Berlin. Based on the third phonetic letter in the alphabet, Charlie was the third checkpoint that opened after the Berlin Wall went up in 1961. This eventually became the only place foreigners could cross over from East and West Berlin. Today, there is a line of bricks flush with the ground in the place the Wall once stood and a replica of the checkpoint booth. Besides these bits and pieces, there is no visual remains that divulge the history that once stood in this very spot, only commercial buildings and stores. There is also a museum that visitors can examine more of this history of the Berlin Wall. The Kaufhaus des Westens, otherwise known as Ka De We, is a seven story department store that offers products from around the world. It has vast quantities of items normally found in a department store and more. Almost any item or merchandise can likely be obtained in this immense store. It opened in 1907 and is one of the largest department stores in Europe. The top floor offers a view through tall glass windows and a gourmet food court that offers an abundant amount of food for every palate. The entire walk is slightly less than one mile (1.5 km). There are many cultural buildings along the boulevard including Humboldt University, the Berlin state Opera, the Berlin cathedral, and Zeughaus (old armory) which now is the site of the German Historical Museum. Most visitors arrive in Berlin via one of its three airports – either Tegel, Schonefeld or Tempelhof. 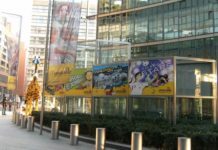 Tegel is the most user-friendly airport as it offers plenty of ways to get in to town. A taxi will set you back around £13 but it’s far cheaper to get the train, a local bus service or the Airport Express, which will whiz you to the centre of the city in around 30 minutes. Schonefeld is where most charter planes fly to and also has an Airport Express service, several bus routes and rail links. Taxi rides to the city cost roughly £19. And Tempelhof is Berlin’s smallest airport so your transport options here are more limited. Trains run from here to central Berlin and taxis cost in the region of £10. Once in the city, visitors are spoilt for choice when it comes to transport options. The S-Bahn (overland railway) and U-Bahn (underground railway) will get you to most of the attractions quickly, safely and cheaply. There are three fare zones – A (which is mainly the city centre), B (which ends at the city limits) and C (which includes Berlin’s immediate surroundings. There is also an excellent bus and streetcar network spanning the entire city and a number of efficient night buses and trains. If you’re in Berlin for more than a couple of days, it’s well worth investing in a WelcomeCard, which gives you unlimited travel for a set fee. Locals and visitors know that one of the fastest and most fun way to explore is on two wheels. Berlin accommodates cyclists by providing an extensive network of paths which isolate cyclists from both cars and pedestrians. It has plenty of space for bicycle parking too. The city has pledged to make bikes comprise 15 percent of the city’s traffic and it already has 80 kilometres of bike lanes which run along main streets, particularly in the leafy neighbourhoods of former West Berlin. Cyclists are allowed to take bicycles on the U- and S-Bahn for a small extra charge. Just check which train compartment has the bicycle sign. If you’re sick of sightseeing from open top buses, it might well be time for you to get closer to the action. In Berlin, intrepid tourists can embark on a Trabi Safari to see the city in a completely different light. Back in the 1960s, the Trabi was the cult vehicle of Eastern Germany. Granted, it might not be the coolest looking car on the roads but in recent years, it has enjoyed something of a resurgence. The Trabi Safari allows you to actually get behind the wheel of this classic kitsch car and as you pootle around Berlin, you can tune in to your very own tour guide via the radio. There are a selection of city tours to choose from, many of which take around an hour. And if you give the company enough notice, you can also arrange group tours with several Trabis at a time. The safari is a great, yet unusual way to see Berlin – and it’s certainly an experience you’ll remember forever.